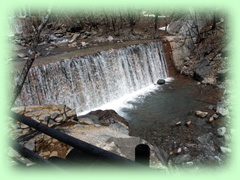 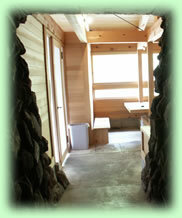 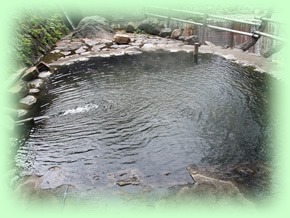 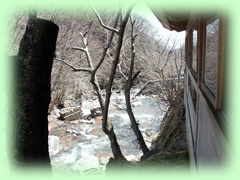 Kawaranoyu gets it's name from pools formed by rocks in a river (kawa is Japanese for river). 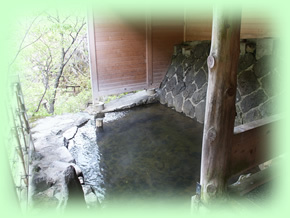 There are separate baths, rotemburo (outdoor baths), for men and women. 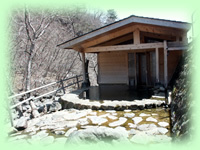 These are a great way of relaxing and viewing the beautiful scenerythroughout the seasons!